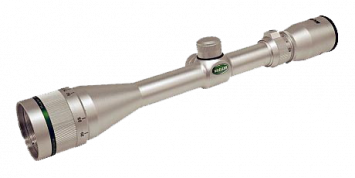 The Most Innovative Red Dot Varmint/Target Scope with Custom Reticle Ever Developed! 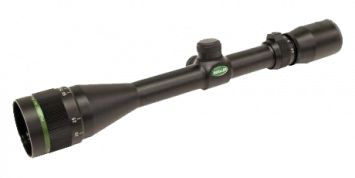 The Eraticator features a micro-fine crosshair with illuminated micro-dot. 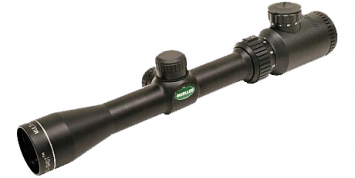 The reticle was designed by Mueller Optics for long range shots on small targets such as Prairie dogs but can also be used for long range big game hunting. The design of the micro-fine cross hair will eliminate the possibility of the the hairs covering the target at longer ranges. 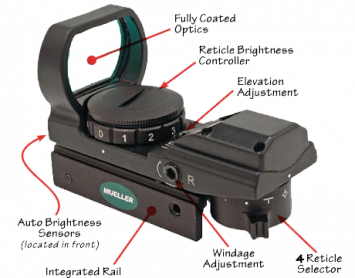 Mueller’s Eraticator has one of the smallest illuminated glass etched dots on the market which covers less than 1″ @ 200yds. 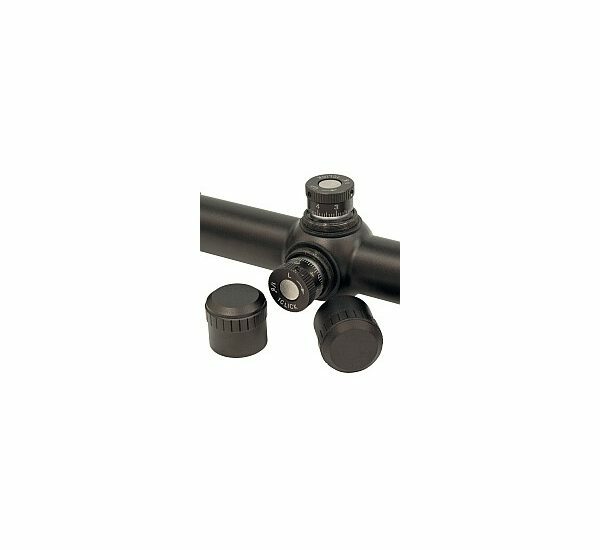 For normal daylight conditions the reticle has a standard black micro dot centered in a micro-fine cross hair. 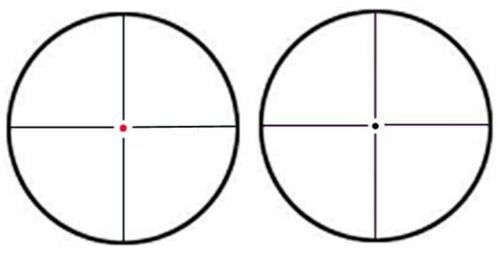 During low light conditions or when viewing dark targets the black dot can be illuminated red and fine tuned with 11 brightness intensity settings. The Eraticator also features fine tune 1/8″ windage and elevation adjustments with click stops and easy finger turrets (no tools required). 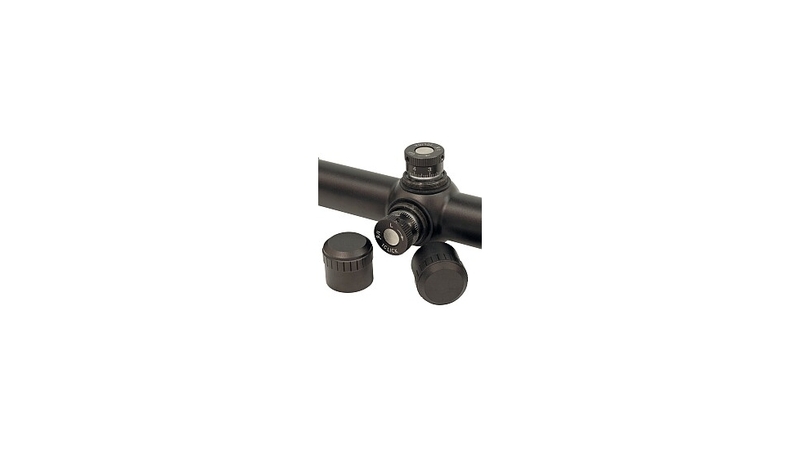 The Eraticator has also become very popular among rimfire shooters due to the short range focusing capabilities. 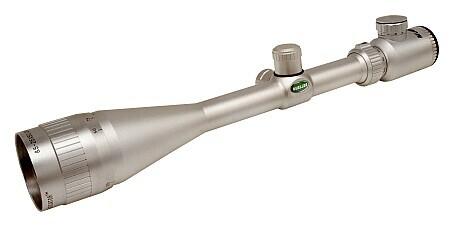 The Eraticator will focus down to a minimum of 20 yds.